This entry was posted in Uncategorized and tagged apps, gnome-os, gnome-ux. Bookmark the permalink. At first I thought it was some kind of service to share files, but it’s just a new UI for virtualization and remote desktop, isn’t it? Besides that, what’s the difference with the existing applications we are using NOW in our current Gnome desktop? About the new core applications, I’ve noticed you’ve hidden the search box. While this works really well with hardware keyboards, in which case you can just type, it doesn’t really work with on-screen keyboards, when the keyboard is triggered by tapping on a text/search box. Have you considered this scenario in your designs? Do you perhaps plan to show a search box only when no hardware keyboard is detected, or perhaps only when the on-screen keyboard is enabled? Also, are you working with Gnome-centric creative applications (Abiword, Gnumeric, Ease, GIMP, Inkscape…) on UI changes to fit with the “new Gnome”? I’ve been hoping for a while that Gnome Office would get some love, but I see very little activity there. You are absolutely right. GNOME needs a new wave of core Applications. Ours are way behind the competition and from an aesthetic and usability point of view, most are even disastrous. The way I see things is that there are two big roadblocks at the moment. The first one is the lack of a design culture inside GNOME. And I’m not talking about the designers contributing to GNOME. I’m talking about the need for designers to have a good grasp of the technology and hackers to have a good sense of what makes great products great. You look at all these Applications that are created by really smart people but the end result is terrible. They are completely tasteless and much harder to use than they need to be, it almost seems like no one really cared. The second one is GTK+. 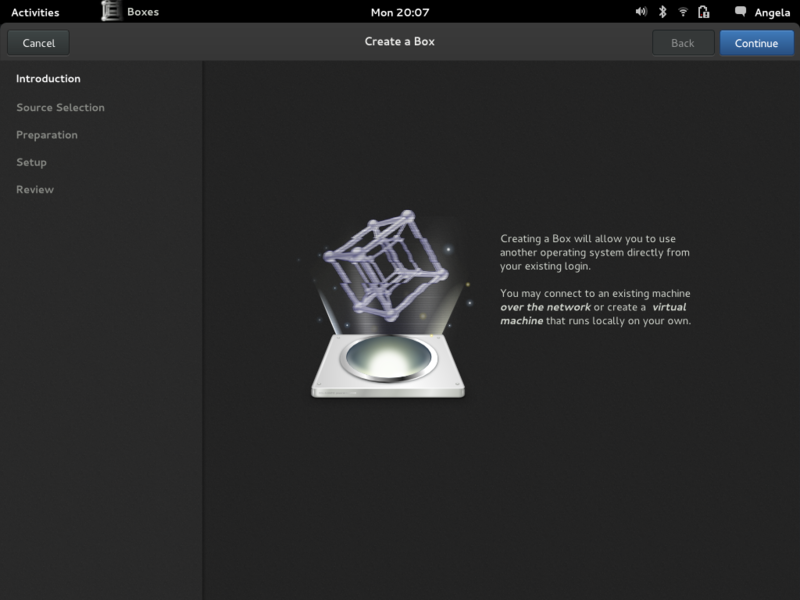 You cannot create the kind of user interfaces you see on WebOS, iOS or Mac OS. And even though some progress is being made, a good indicator that GTK+ won’t work is that we continue to lag badly behind. The WebOS folks wrote a great user interface toolkit in the time it took us to GSEAL () everything in GTK+. And so, almost 5 years have passed since the iPhone showed the industry what great interfaces are about yet we haven’t been able to create anything even remotely close, let alone as good. And its frustrating to see people waste their time in things and not doing what’s necessary to make them great, unique and iconic. Just because something is open source shouldn’t be an excuse for it to be crap. however I feel kind of confused. You (by that I mean the GNOME project) have streamlined/simplified (some would say dumbed down) the UI to the max, with the motto that this should be, out of the box, the perfect setup for the Mythical Desktop User™, (which is not a computer geek, not a sysadmin) who needs to do Real Work™ (which apparently cannot be anything that has to do with computer or programming…). And the first big application that you advertise is an application to run VMs and remote applications. What about contacts, calendar, an office suite, a decent VoIP/SIP client. My Mom™ uses all this things, yet she doesn’t know what a VM is nor that you can even run applications remotely (whatever that means). This makes it hard to understand the goals and directions of the GNOME project. But long live Boxes, I *know* i’ll be using it a lot. My Mom™ won’t. Do you plan to handle folder-sharing between the guest and host? For Windows, that probably requires careful integration of Samba. For Linux, ideally I’d suggest using the new virtio 9P support in QEMU/KVM. It would be great to have clients for windows and macosx too, if you’re planning to use spice I’m not sure this is already ok for mac osx. For not-server user I think there is progress with opengl-es acceleration in spice woud be nice to run it inside boxes but perhaps you’re just interested in the front-end. I’m 100% ok with you, I whish you had designed gnome-shell. As far as I know, he is one of the guys who designed gnome-shell. Which is great, and well designed, anyways. SPICE doesn’t help with running on a local vm. Well, qxl does, but the protocol should be replaced with some shared memory passthrough (we’ve discussed this before, just, you know, someone needs to work on it and everyone has been working on boxes :P). @anonymous, quote: “For Linux, ideally I’d suggest using the new virtio 9P support in QEMU/KVM.” – guess someone needs to write a windows virtio-9p driver. volunteers? Looks like just another Remote Desktop software at first, but I guess there is a huge potential of becoming a great remote application manager or a multiple systems manager or something like that. We can just imagine. Keep up, we want this! I agree with Kim on this. The new look of GNOME is seeming directed at My Mom™ in making it super-simple and straightforward, but My Mom™ is typically far more concerned about communication and photos, maybe a calendar, than virtual machines and remote access. a. Your mom sees a new OS (version) on the internet somewhere. She clicks ‘download’ to ‘try it now’ link and from that point on we should be presenting her with simple/easy/intuitive UIs to take her to her goal: Try the damn OS. b. Someone gives her a bootable media (DVD or USB). She knows inserts it and tada we do the same (or very similar) to what we do in case a. 2. As you can see (https://live.gnome.org/Design/Apps/) Jon is working on the designs for all the essential application, including the ones you mentioned. Now someone needs to implement them. Since I am more interested/motivated to work on Boxes, I am implementing that. You are more than welcome to implement and even design the ones that you think are more important. This is open-source, people work on what they want to work on. Hey McCann, any plans for boxes to also share out / some kind of vino integration maybe? E.g., across my boxes whether or not they’re local, remote, virtual, could I click a button and share the box with another user?